PoutineTime is another 'GameJam' project, because - as you might have read in one of my recent blog entries - I have issues with quickly making stuff that works and GameJams are the best way to make smaller games and also to get my name out there in a small way! 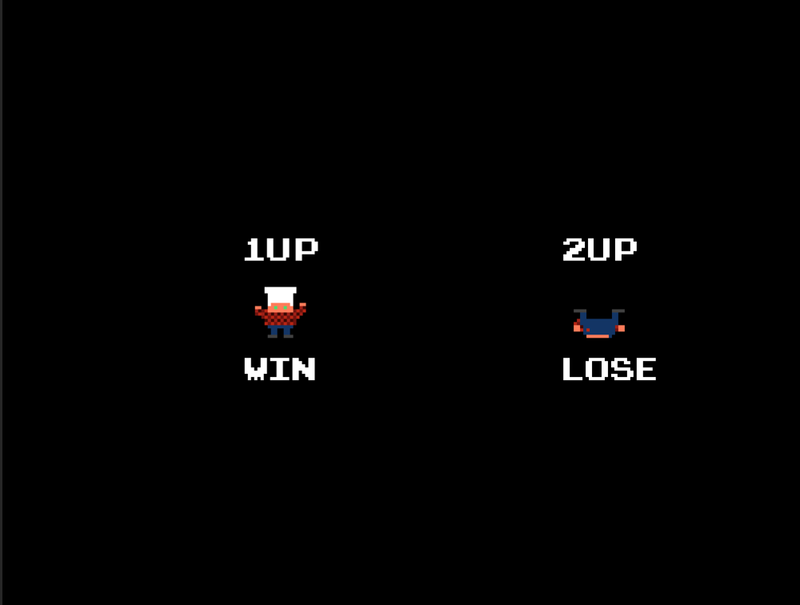 I've decided to make a two player competitive BurgerTime ripoff where you make poutines instead of burgers, and while it was a pain to have everything work, I feel that it's a cool ripoff! Your goal in PoutineTime is to get points by stepping on foods to make poutines. Player 1 moves with WASD, Player 2 moves with the arrow keys. You can use SPACE and ENTER to throw bacon. Bacon stuns your opponent for a second and you can only have one on screen at the same time. Having food fall on your opponent makes them lose two seconds. Since you only have 30 seconds to get the most points, every step counts. I had a few issues with almost every system of the game; Climbing on ladders, stepping on food, having it fall down and trigger chain reactions, etc. But overall, for such a small project, I'm happy with the result!